We all know how much important social media websites such as Facebook, Twitter, Google Plus have become in recent years because they have billions of users. Everyone is joining Social networks sooner and later to share and get the Information. we can utilize this growing importance of Social media specially Facebook for our own benefits for example if you are running a business no matter online or offline then you can create a Facebook page about your business to give huge exposure to your business and attract more customers. Creating a Facebook Page can turn out to be really useful for the promotion of your business and resulting in increase of your sales and profits. Setting up a Facebook page is really easy and free. Later on after creating a page you can also run Facebook ads of your page to promote it and get more fans. at start its little difficult to get fans but once you get few thousands fans then more and more fans start to come with time. After creating a Facebook page for your business you have to regularly update it about the products that your business is offering. try to do maximum posts with Images because Image posts attracts more users. Interesting posts will engage more fans that will increase popularity of your page. Many of those people who already likes your products will themselves find and like page of your business to stay updated about the products that you are offering. Through this page you will also be able to attract many new people towards your business as well. 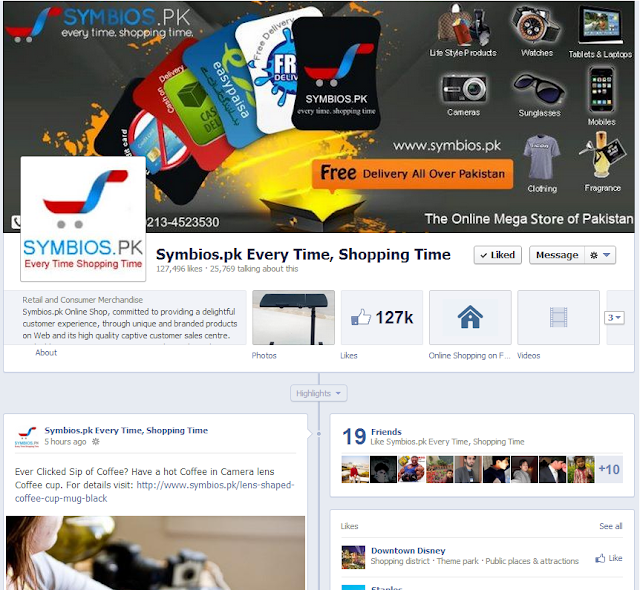 Lot of businesses specially online businesses are already running their Facebook pages. For example this is Facebook page of a popular Pakistani shopping website that is offering all types of products of daily use. on this page they keep on posting the new products that they offer for sale. this has really helped them in increasing their sales. they are earning millions of rupees every month and their Facebook page is also once of the reason of this success. they are having more than 240K fans now growing daily. Here is my another article that you can read about 7 steps of creating a Facebook page it will make it easy for you to create a good and attractive page. and your page is ready for posting. for more details read my other article that i mentioned above. I am also soon going to start a business of Computer Import and the first thing i will do for it is setting up a Facebook page and make presence on other Social Networking websites as well. Social Media has got great power and we really need to utilize it for our success. remember fans of our Facebook pages are just like the customers visiting our shop.